I am rewatching and reposting this video tonight because I am still mesmerized by it since I last watched it in 2012. In fact, I almost did my master’s thesis on cultural singularity. 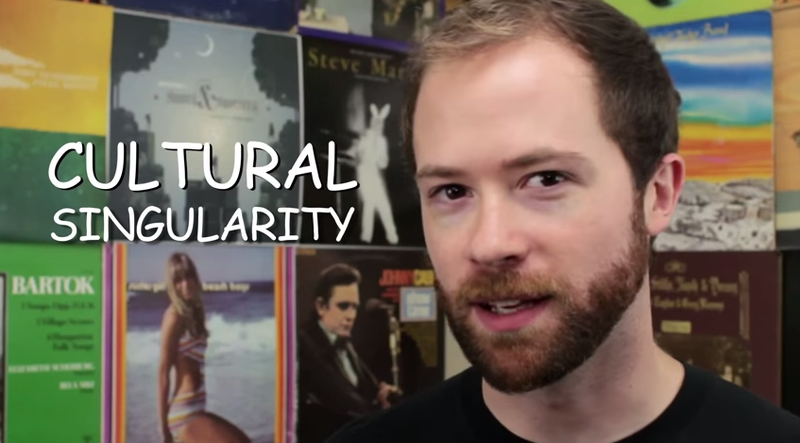 But I couldn’t wrap my mind around what cultural singularity is. What is Internet singularity? Rugnetta, in this video, describes cultural singularity as a product of internet memetics, modeled after technological singularity that we have been familiarized by sci-fi stories. Essentially, Internet features allow rapid production, reproduction, and remix of cultural references at an ever-increasing rate. Scholars and geeks like Rugnetta believe that, in not time, memes will just auto-magically manifest in the world of webs, ready for cultural consumption. What sort of crazy ideas are these? Or are they crazy at all? I do not know. But I still think it is mind boggling.